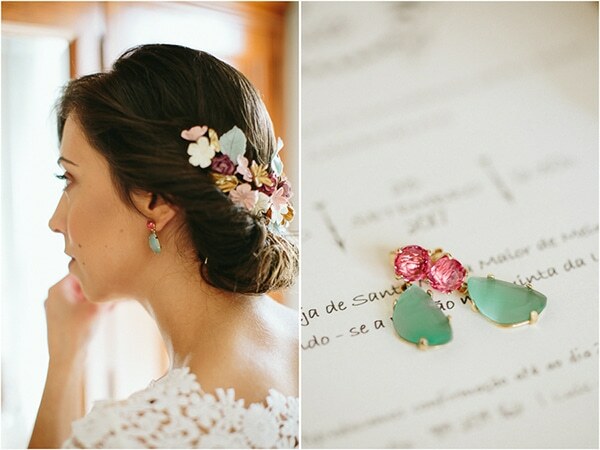 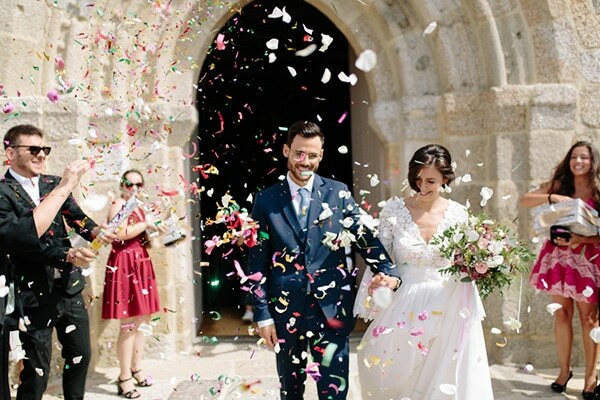 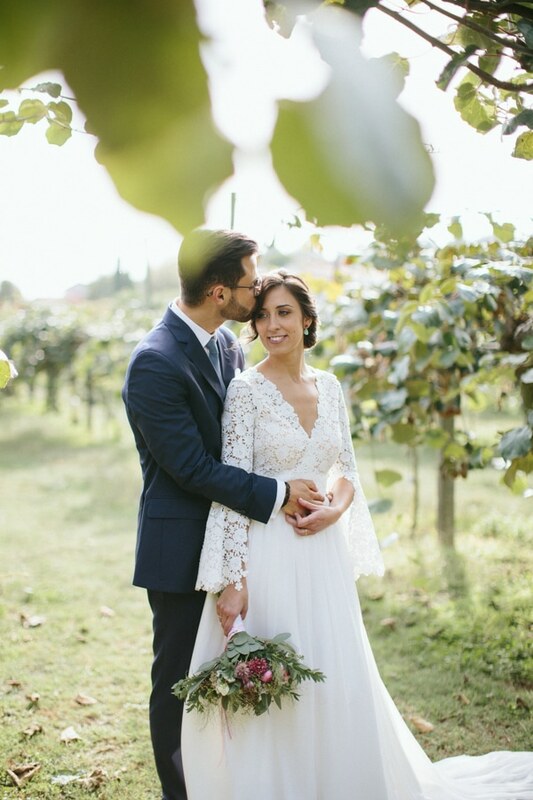 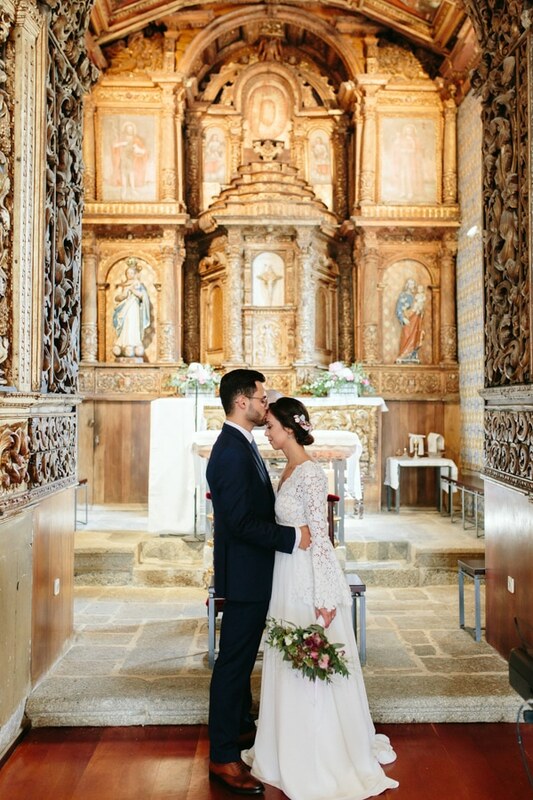 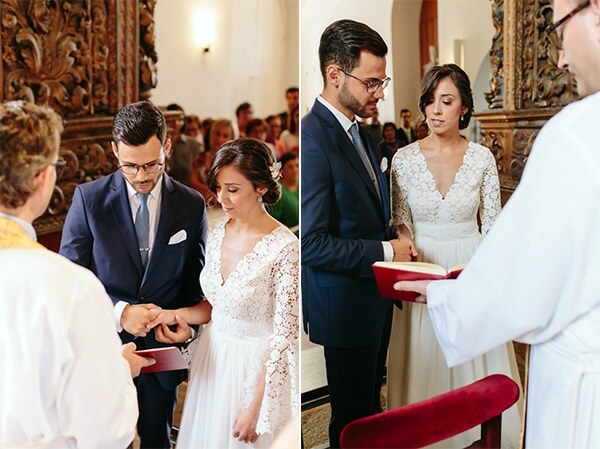 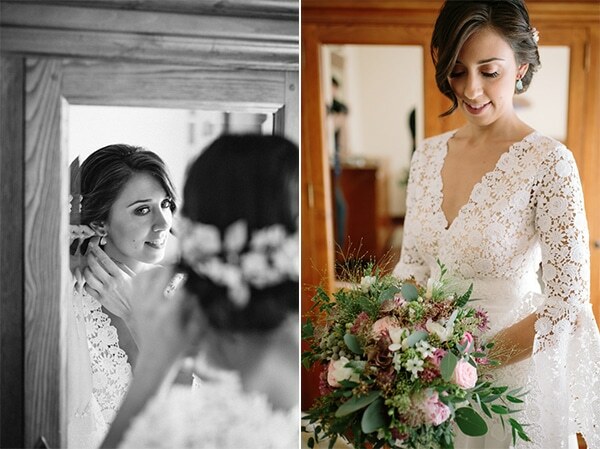 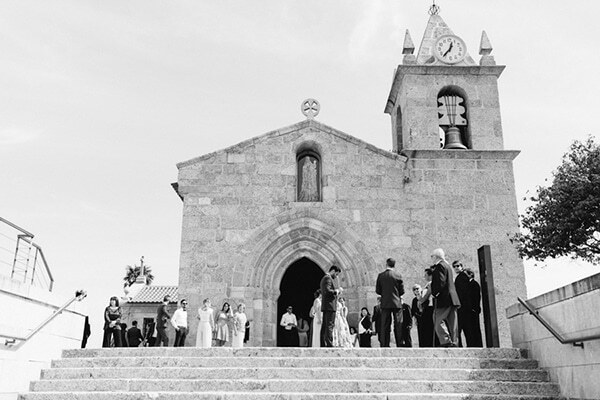 Today we’re sharing with you a beautiful boho wedding that took place in Portugal, in a sunny summer day. 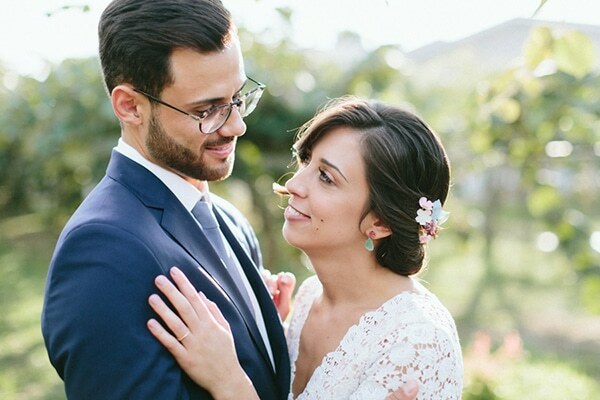 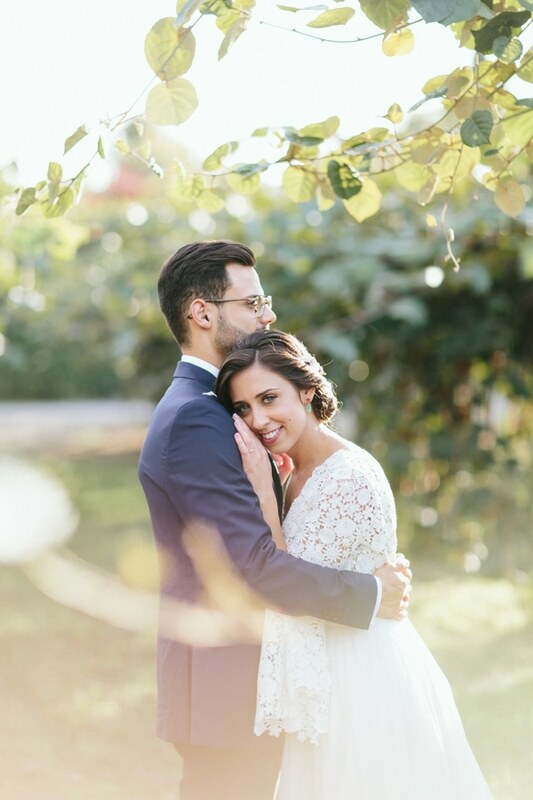 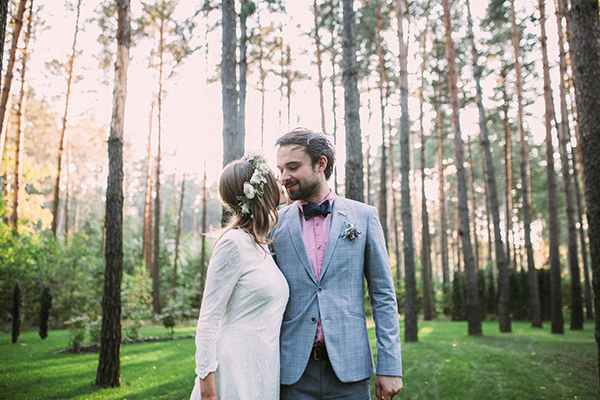 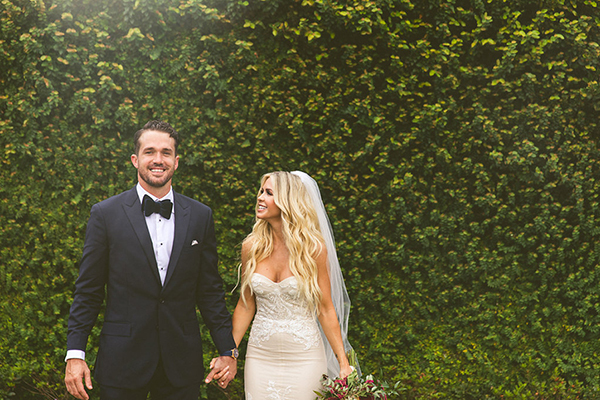 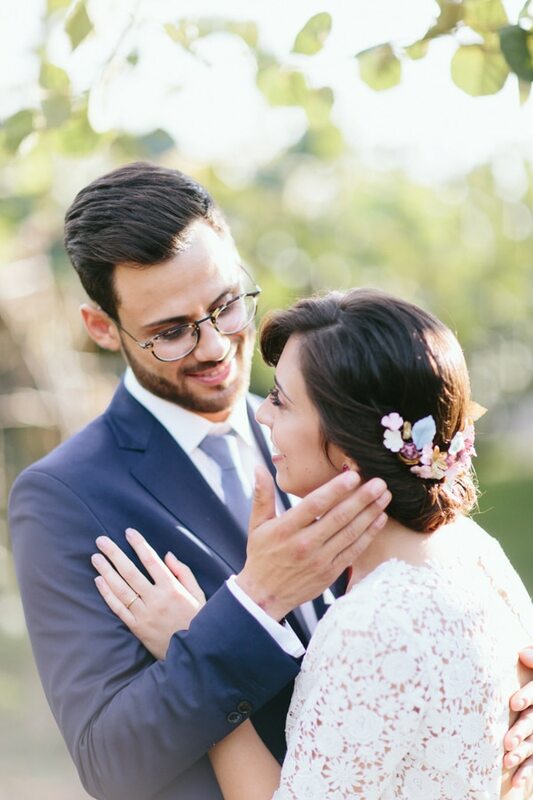 Sofia and Paul had an intimate, cozy pink and green wedding with a bohemian style. 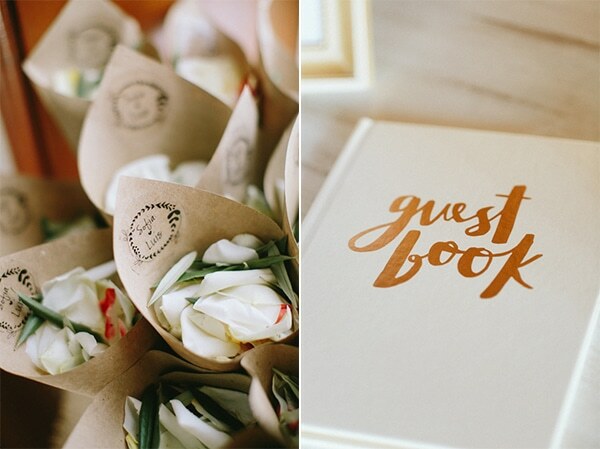 Unique details such as the guest book, the floral designs, the board and the flower bouquet added more prettiness to this sweet, special day! 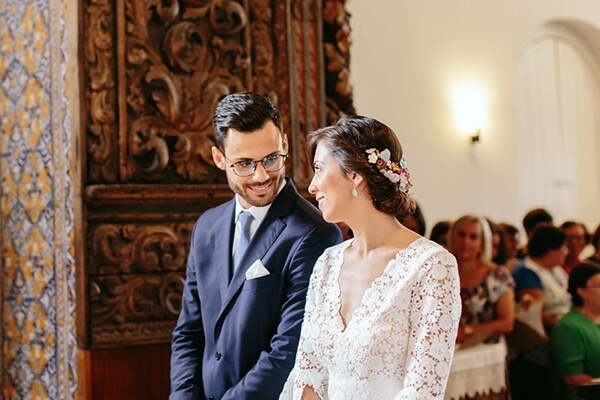 What to say about the bride who was shining in her Pureza Mello Breyner wedding dress and her stunning accessories… so beautiful! 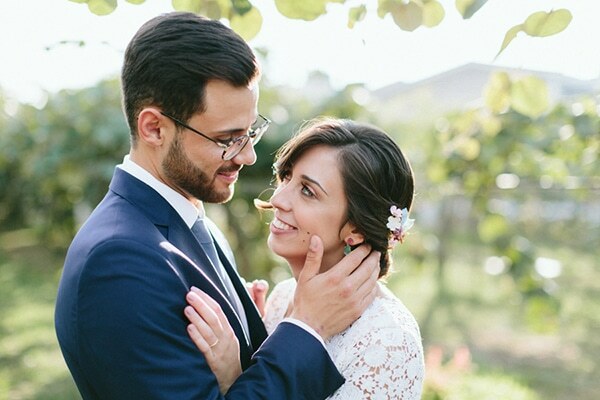 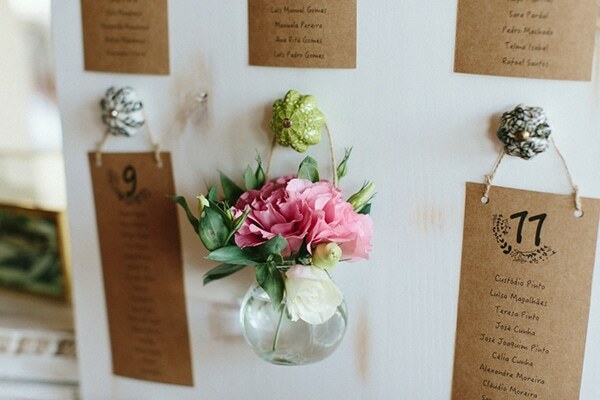 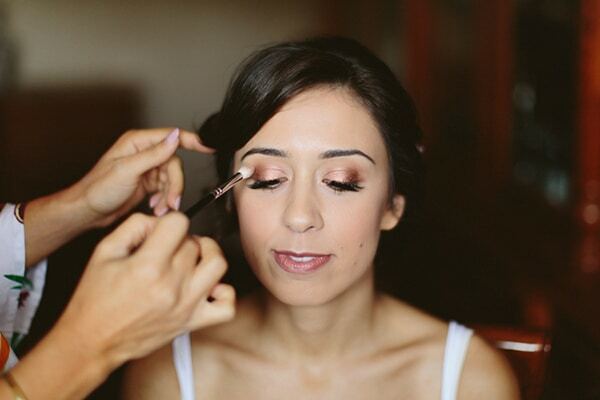 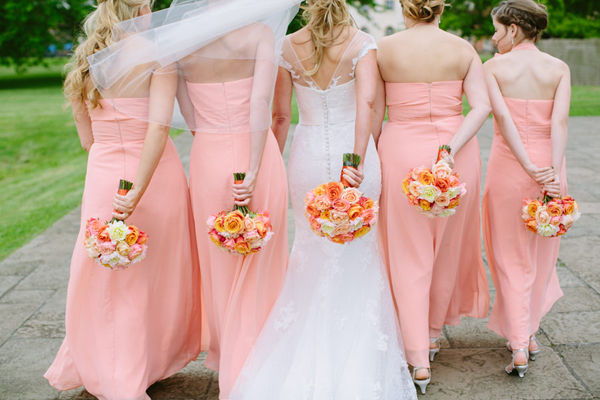 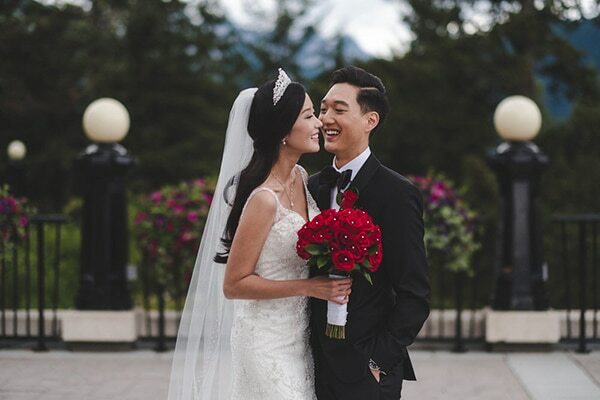 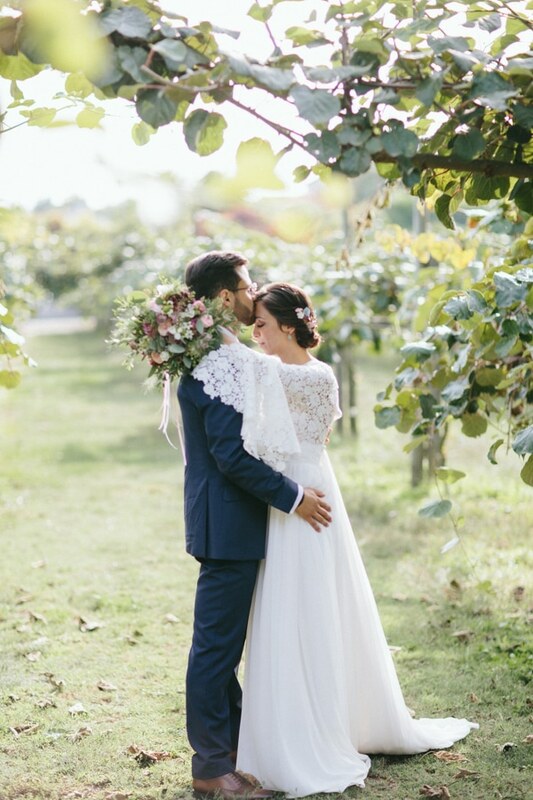 You won’t want to miss a single image from this wedding captured by Por Magia Photography!